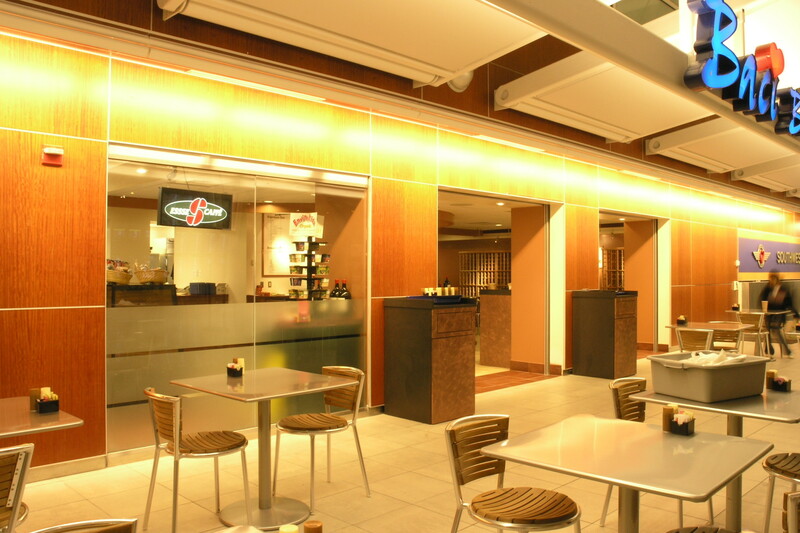 Baci Bar and Grill – A S Architects Inc. 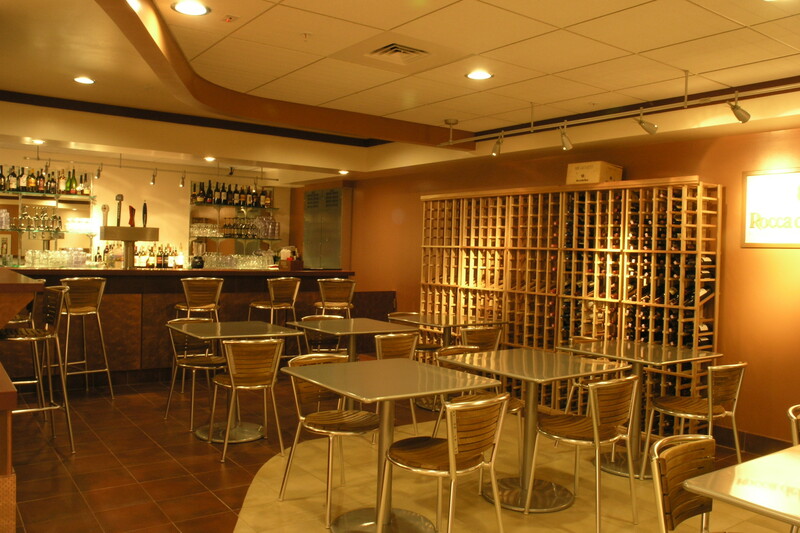 Interior renovation of an existing 2000 sf space for use as a deli shop and bar at BWI Airport near Southwestern Airline’s ticketing counter. 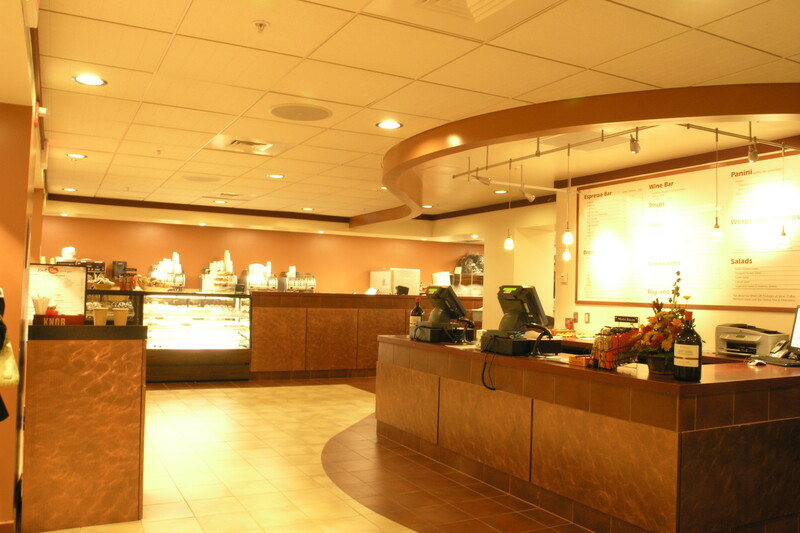 Bar area is separated from the deli and coffee shop to allow a better flow of customers with specific purchasing needs. 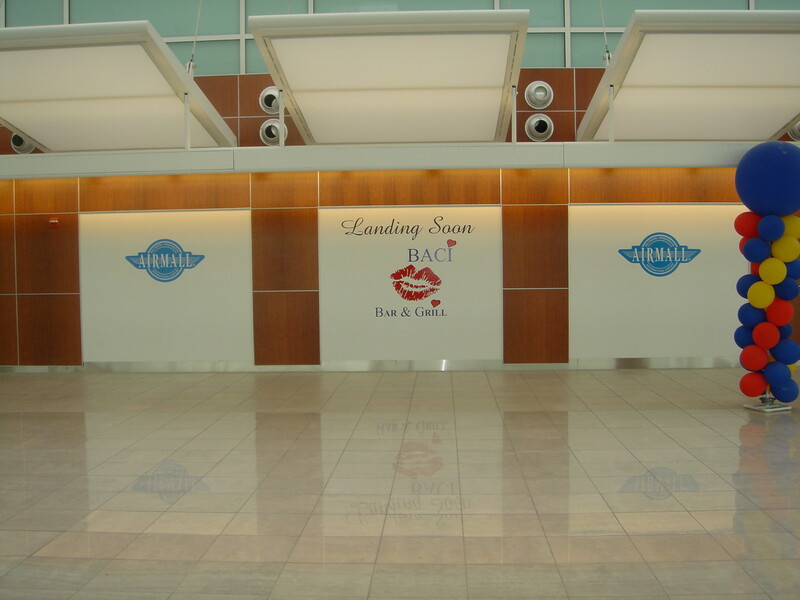 Finishes are selected for durability, easy maintenance and compatibility with the Airport décor. With an estimated construction cost of $300,000 the renovation was completed in June, 2005.